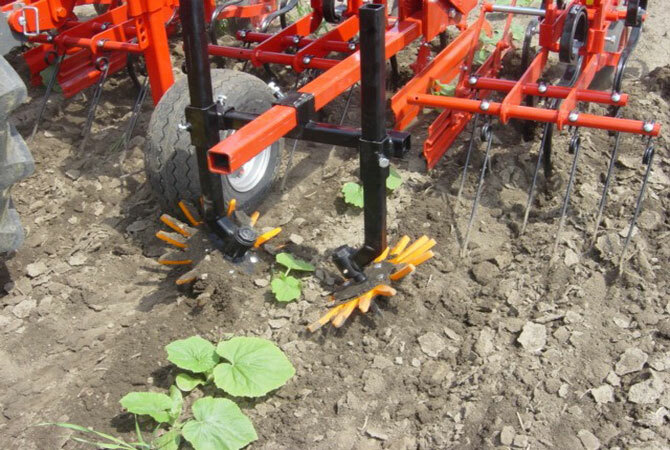 The hoeing machine in rear attachment version is equipped with an automatic top-steering. So, the steering wheels are guided through a mechanical connection with a high wheel-flange towards the slope. 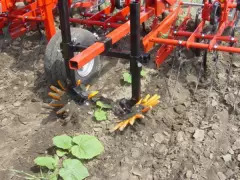 The hoe always runs right behind the tractor even at curvy operation. 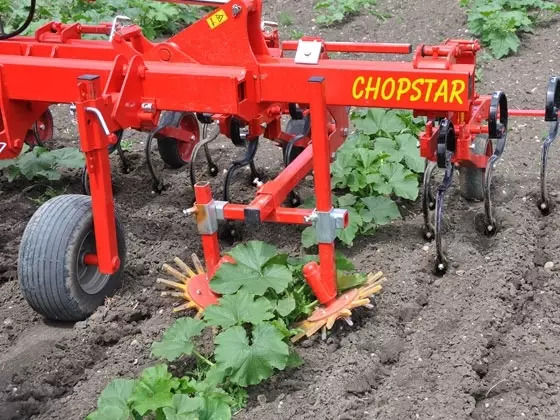 For slopes over 6%, this guidance system can be additionally be equipped with a hydraulic pre-steering.